Discover a tantalizing, alluring display of gourmet goodness that can be enjoyed by all. 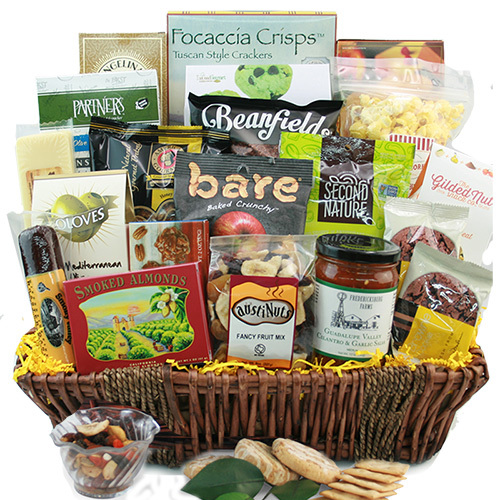 Perfect for entertaining, this distinctive selection of gourmet edibles is displayed in a stunning rattan and wood chest and will undoubtedly make an unforgettable impression. CONTAINER SIZE: 15" W x 9.25" D x 6" H "